How Ancient Wisdom and Modern Science Can Revitalize Your Health, Happiness and Potential. Ask yourself three simple questions: Am I fulfilled? Am I happy? Am I healthy? If your answer to any of these is less than a unhesitating “yes!” then you’re not living life to the fullest. Worse, you’re not living the rich and purpose-driven existence you were meant to have. 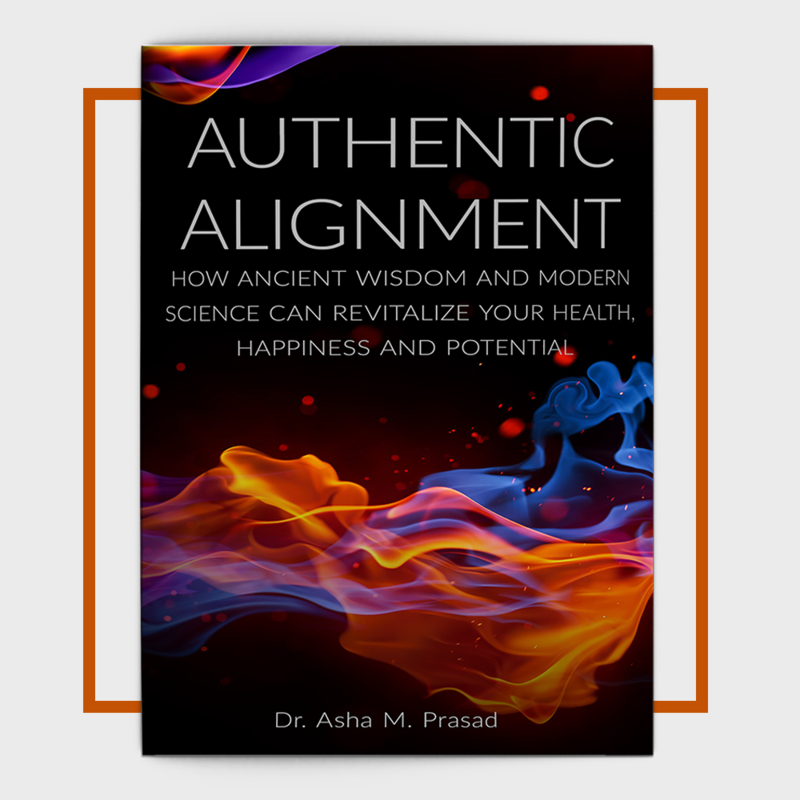 In Authentic Alignment: How Ancient Wisdom and Modern Science Can Revitalize Your Health, Happiness and Potential, Dr. Asha Prasad redirects our concept of health from the symptomatic to the foundational. Blending the teachings of ancient Chinese philosophers and Indian healers with cutting-edge modern research on epigenetics, bio-energetics and psychology, she shows how true health is more than simply the absence of pain — it is nothing less than maximizing the hidden, almost limitless potential in each of us. The key to real personal and professional health and happiness lies not in side effect-laden pharmaceuticals or unrealistic fad diets, but rather the creation of an authentic, sustainable lifestyle that brings into balance our physical, mental, emotional and spiritual selves. 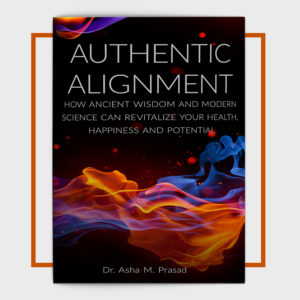 Regardless of your current level of alignment, Dr. Asha provides you with practical, accessible and proven tools for improving and maintaining your health. Don’t settle for less than the best that life has to offer. The journey to a better you begins here!